International Kissing Day began to take place on July 6 in the UK but since many countries have adopted it and it has become the day of international kisses. The purpose of the day of kissing is to make us appreciate the kiss in its own right. On this day we do not have to do much, just kiss someone (with permission of course). The kiss exists in all familiar cultures and each kiss has a different meaning. There is a friendly kiss, a romantic kiss, a kiss fluttering on the cheek or a gentlemanly kiss on the back of the hand. In different parts of the world there are competitions of the longest kiss. A kiss for a minute burns 2 calories. When two people kiss French, they exchange between 10 million and one billion bacteria. If you want to avoid catching the flu, a kiss is more sterile than a handshake. Kisses can cause tooth decay. The science and study of kisses is called philatology. The scientific name of a French kiss is Cataglotism. 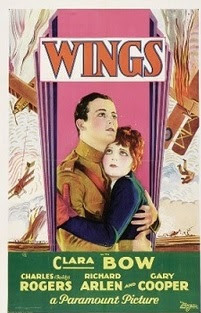 The first time two men kissed on the screen was in 1927, in the movie "Wings." The average person spends two weeks of his or her life (total cumulative) with kisses. Two-thirds of people bend their heads to the right as they kiss.